Not consecutively. I’m not Forrest Gump. 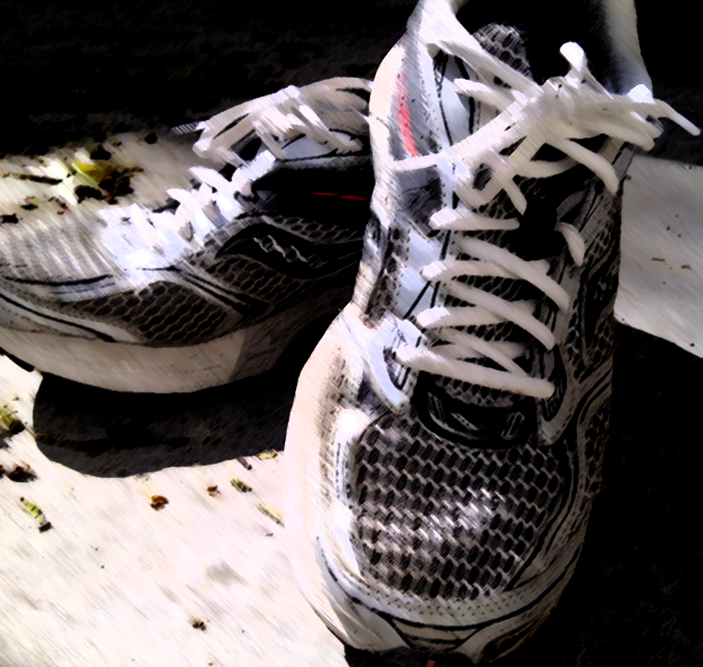 But it’s been 20 months since I laced up the shoes and hit the streets (again). When growing up, being “in shape” just happened. Hockey, track, golf, soccer, baseball. Then I lost it for a bit. Apparently when you go to university, stop exercising and eat junk you don’t stay in shape. Who knew? I got back into shape during seminary (Hart House was next door) but it slipped after a few years as a pastor. But 20 months ago I got back into it at the strong encouragement of a friend. Scott Peck has this great insight: “It is not impractical to consider seriously changing the rules of the game when the game is clearly killing you.” My “game” consisted of no exercise, working too many hours, and not having enough balance. So I did a radical re-jigg. Running went way up the priority list. Running helps me think clearer, manage stress, and just feel good. It was challenging to keep it up through the winter, but now that hump has been defeated! I run at least 3 times a week accompanied by what I call the “caveman” workout: sit-ups, push-ups, free weights, that sort of thing. I write this as an encouragement to others who struggle with exercise, and also to offer a few habits and insights that are a help in the process—especially on those harder days when we’re feeling pressed for time and would rather not sweat. 1. Running is about being a stronger me. As a pastor “physical training” has “value” and “promise” (1 Timothy 4:8). When I’m running I’m sharper, more at peace, and a better dad, husband and minister. Always. 2. I work it into my schedule. With me, if it’s in my schedule there’s a much greater chance to get it done. 4. Running creates time. This might seem counter-intuitive, but here’s what I mean: Say I have 2 hours left to do all I need to do. I sometimes think, “I just don’t have time to run—there’s too much to do!” But I run for an hour. What happens is I end up with 1 fantastic hour instead of 2 mediocre hours. Running creates time. 5. Rewards. I reward myself for a good running week. But I only take it one week at a time. They say that no alcoholic ever quits for a lifetime. They only stop drinking for one day, then another day, then another, etc. I don’t think about the long term with running, just one week at a time. 6. For me, running is about trusting God. This might sound weird. But here goes. When I run, it gives me less “time” in the week to do all I need to do. But do I trust that God can do what he needs to do through me in his way in his time? Or do I over-function, over-pack my schedule because I don’t think God can be trusted with the job? 7. Relax. Are there weeks when it slips? Sure. But I try not to let that be the pattern. 9. You feel good. It can give a sense of accomplishment. Plus, the body starts getting used to all those natural endorphins! I do end up a better me, like a car just out of the shop. I know I’m contributing to something that will last into the future. Be encouraged. We can do it! Running is never about running. Hi Mandy, I totally agree! There are so many benefits to an active life, and I hear you about those Nelson stairs! I made the mistake of making that the last part of my run during a hot afternoon last summer and almost passed out! (I guess that would have made my outing counter-productive.) But anyway, as you say, all good! good for you matthew! i’m always encouraged when someone takes up running, and all the more so when it clearly is part of living an integrated and spiritually conditioned life! if you ever need a running companion, let me know!